Are you trying to get your family to eat healthier? stock your fridge with fruits and veggies? read food labels and avoid ingredients you can’t pronounce? Worry about pesticides, GMOs, refined sugar and who knows what else is in our food? Me too. And if you’re buying conventional produce at your local grocery store, chances are it’s not as healthy as you think. That’s because of all the germs, bacteria, pesticides and wax that are on commercial produce. But no worries, all you need is my easy Homemade Produce Wash. Not only will your fruits and vegetables be instantly healthier but they will also last longer. Sounds like a win-win! Over the past several years I’ve been on a mission to lower the toxic load in my house. One of the biggest ways I’ve accomplished this is by doing the Cleaning Cabinet Makeover. Yep, store-bought cleaning products are one of the worst culprits when it comes to toxic chemicals in our homes. Making your own cleaning products is easy and so much safer for your family. But what about cleaning your produce? Do you just run that apple under water and call it good? If you always buy organic that might be okay but for most people, including me, that’s not always feasible. This homemade produce wash is just what you need to remove the dirt, bacteria, pesticides and wax from grocery store fruits and veggies. Even if you buy organic produce you should still wash it. Organic produce has been touched by many hands and will still have dirt and bacteria on it. The bacteria can cause the produce to go bad prematurely and that can cost you a lot of money in the long run. I buy organic produce when I can and fortunately more and more grocery stores are widening their selection. To learn what produce has the highest pesticide residue check out the EWG website and their list of the Dirty Dozen. 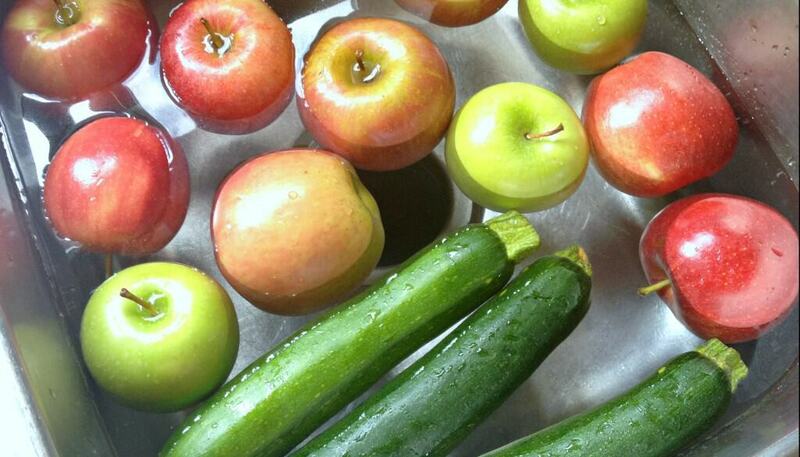 You only need 3 ingredients to make your own produce wash and it’s so much cheaper than buying it at the store. 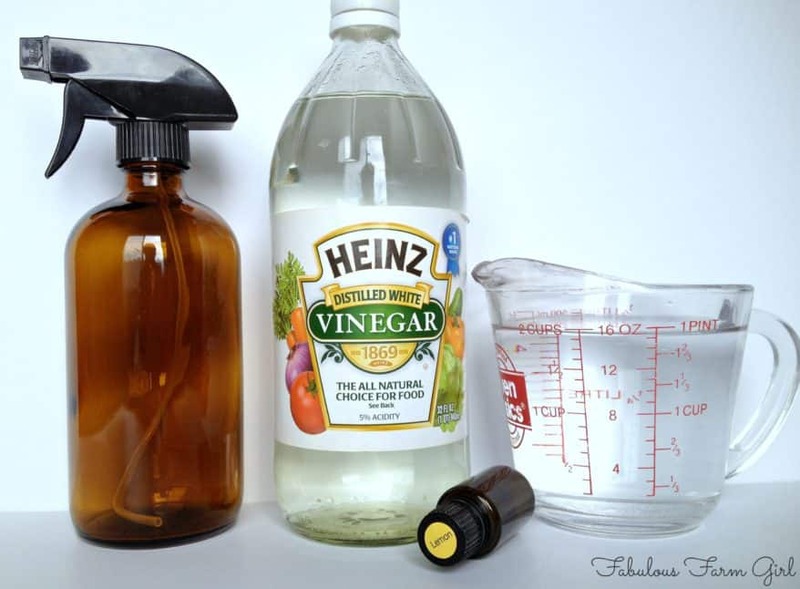 White Vinegar: effective at killing most bacteria, germs and mold due to it’s acidity level. Water: You can use distilled or purified water if you like but lemon EO will kill the nasties in tap water so I just use that. 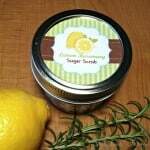 Lemon Essential Oil: my favorite cleaning EO is great at cleansing and purifying surfaces. It’s a good degreaser and may help dissolve the wax that is sprayed on some fruits and vegetables that can seal in pesticides. Glass Spray Bottle: I always recommend glass when making products with essential oils as they can be tough on plastic, especially the citrus oils. They are a great investment so stock up on these glass spray bottles. I’ve seen a lot of posts telling you to fill up your sink and add a cup of vinegar. Yeah, that’s not gonna do anything. The ratio of water to vinegar has to be 3:1 so while you can do it in your sink, it going to require a bucket-load of vinegar. If you have a lot of produce to wash at once then that would be worth it but remember that your kitchen sink is the dirtiest spot in your house. Make sure you clean it first with my All-Natural Soft Cleanser and you’re good to go. 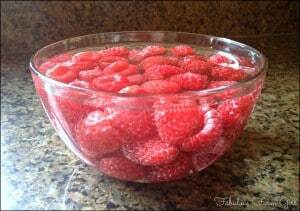 Find a bowl that is just large enough to fit your produce. If you have a lot of produce to wash, use a smaller bowl and soak and rinse it in batches. 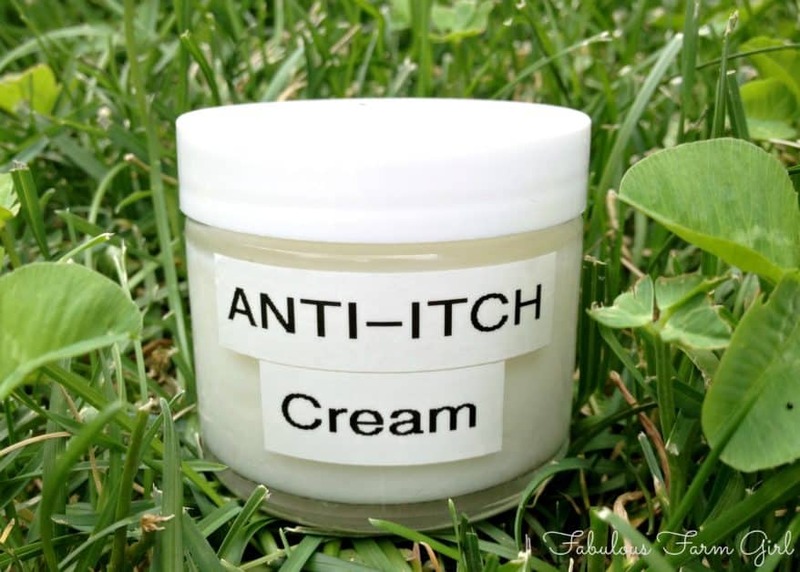 You can reuse the liquid multiple times and it will continue to be effective. Fill it with a ratio of 3 parts water to 1 part vinegar. For example, if you are using 3 cups of water you would add 1 cup of vinegar. For every cup of total liquid (water + vinegar) add 3 drops lemon EO. So if your water and vinegar together equal 4 cups you would add 12 drops of lemon EO. Mix well and add produce. Let sit for 10-15 minutes, turning produce occasionally. Rinse thoroughly and dry with a clean dish towel (for sturdy produce) or spread in a single layer on a clean dish towel (for delicate produce). Use this method if: Use you are washing a lot of produce or you are washing delicate produce such as berries or grapes. I try to wash the produce as soon as I get home from the store but in the craziness of life that doesn’t always happen. That’s why I keep a spray bottle of DIY Produce Wash under the kitchen sink in a 16 oz. glass spray bottle. 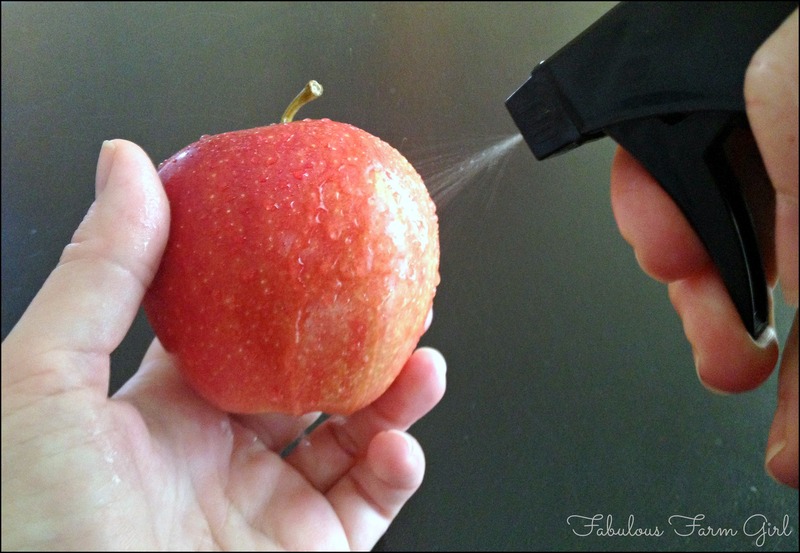 If someone wants an apple in their lunch, they just need to spray it thoroughly and let it sit on the counter for 5-10 minutes. Rinse well and dry and its ready to go in the lunch bag. Use this method if: you are washing just a single fruit or vegetable. While getting your family to make healthier food choices may seem like an endless (and thankless) battle, having an all-natural way to make sure your produce is squeaky clean definitely helps. 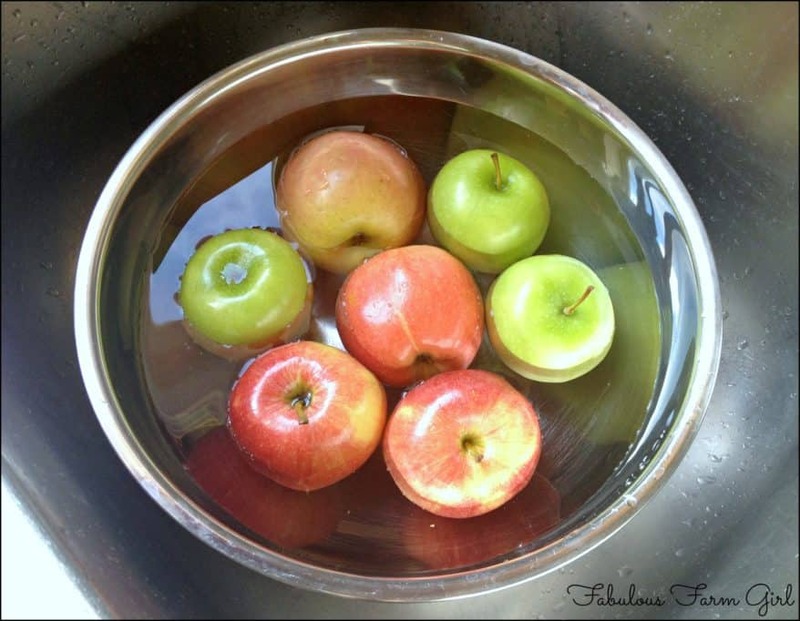 By using this fabulous homemade produce wash to clean the germs, bacteria and pesticides off store-bought produce, I’ve found one more easy way to lower everyone’s toxic load. And nothing tastes better than that! Put all ingredients in a 16 oz. glass spray bottle and shake to combine. Spray on fruit and let sit for 5-10 minutes. Rinse well and enjoy or dry with a clean cloth (or air dry) and put away. 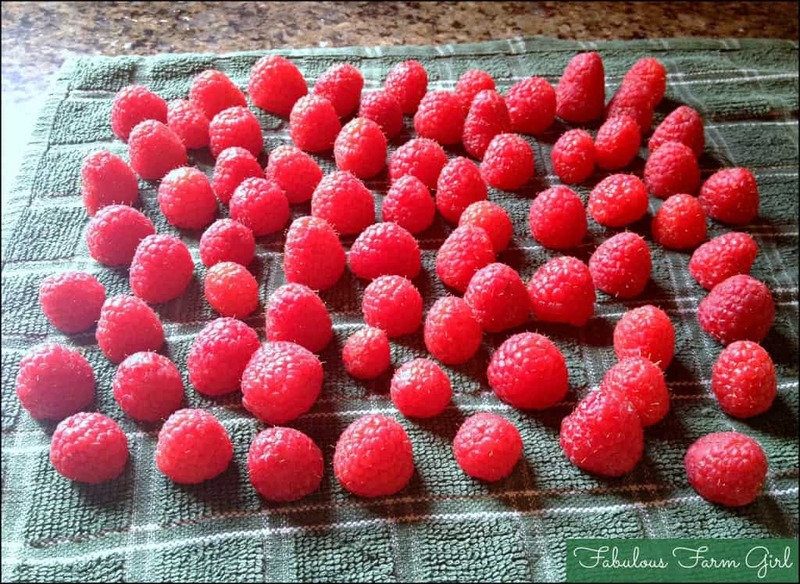 These raspberries were gone within minutes after I snapped the last picture. 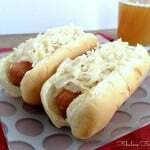 I love that my boys are good eaters and I want to provide them with the healthiest food possible. Homemade produce wash makes it a snap. What’s your favorite fruit or veggie? Let me know in the comments. 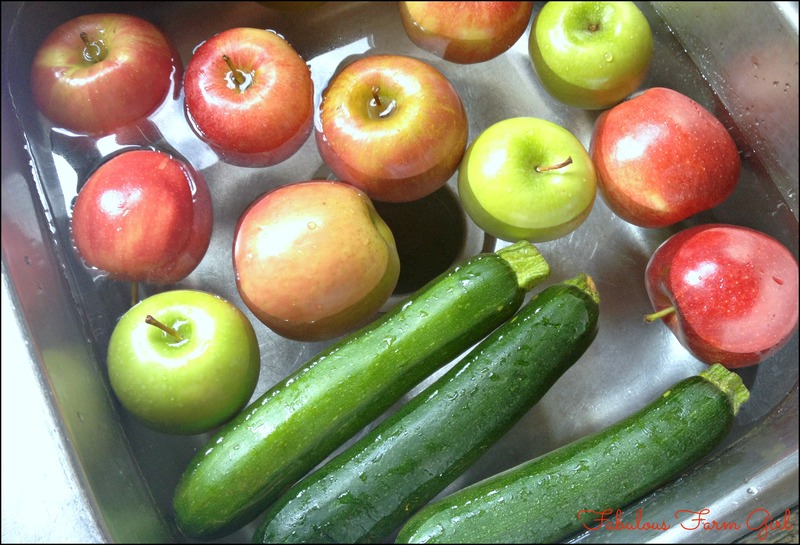 I have not been using our sink to wash produce for that very same reason — it is dirty! And it is a little wasteful of water. Thank you for giving the proper ratio of 3:1 on water to vinegar – i wasn’t sure what it was! You’re welcome Joann! Washing the produce is so much easier and doesn’t use as much vinegar either so it saves money. Thanks for stopping by and have a great day! This is great! I’ve bought a veggie wash but homemade is always better! Dropping by from SITS Sharefest! I agree Janelle–better and cheaper. Thanks for stopping by and have a great week! 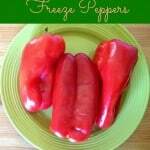 This is a great ‘recipe’ for my fresh produce. 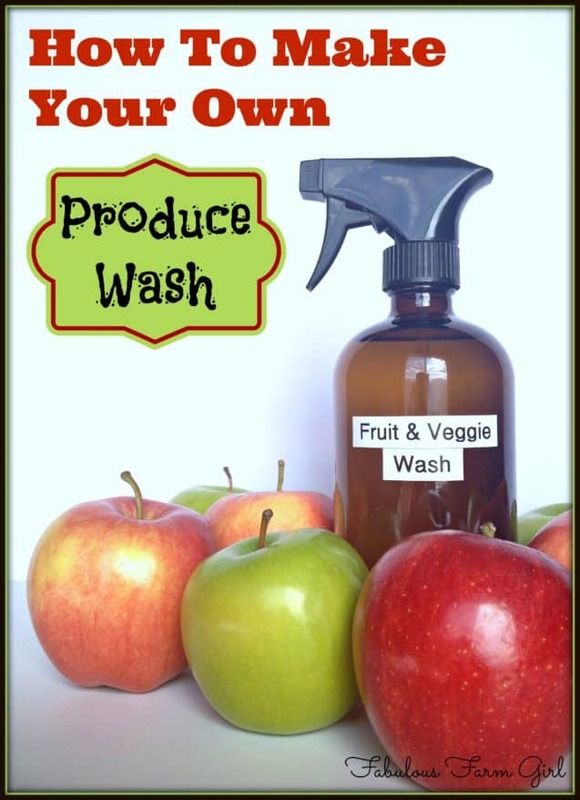 I am a vegetarian & I often visit our Farmer’s Markets in Austin, TX so produce wash is definitely a need in our home. Thanks for sharing. You’re so welcome Lisa! While not a vegetarian, I’m always trying to add more fruits and vegetable to my family’s diet. I wash all the produce as soon as I bring it home and I love that my boys can just grab it and go. This wash makes it so easy. Thanks for stopping by and have a great week! Incredibly helpful – thanks so much! I can’t wait to give this a try. Happy Sharefest! I hope you have a lovely weekend. 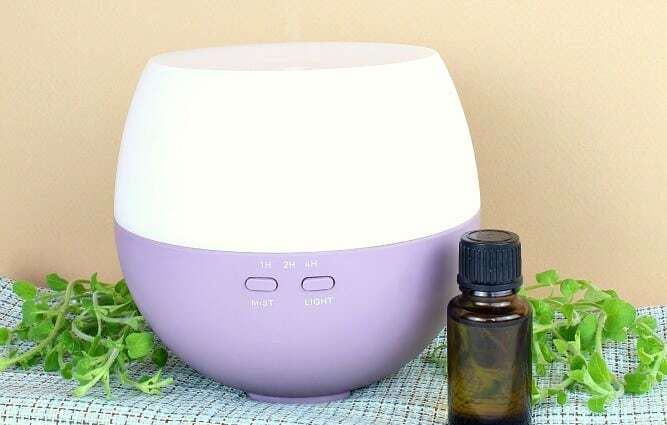 Can I use lemon juice instead of lemon essential oil bought in store. I don’t drive am 72 and have a hard time getting to specialty stores? Hey, thanks! Dropping by from SITS. Have been looking for a home made concoction to wash produce. You’re welcome Luci! I soak all the produce as soon as I get home from the store. It’s so convenient having it in the fridge ready to eat plus it will make things like berries and grapes last a lot longer. Thanks for stopping by! Awesome suggestion. I have been using essential oils quite a bit lately and I’ll add this idea to my list. Thanks Angie. I soak all the produce right when I get home from the store. That way my kids can just grab a piece of fruit out of the fridge and they’re good to go. Also make things like berries and grapes last so much longer. Definitely worth doing. I’ve heard about this method before. Thank you for describing it in details! You’re welcome Jody! Thanks for stopping by. 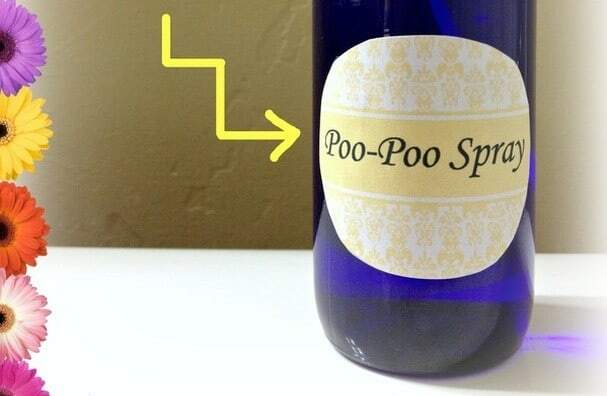 We make a lot of our home cleaners, but i have never thought to make a produce spray. Pinning this for future reference. Thanks for sharing! Stopping by from SITS. It’s really easy Bev. I love getting all the produce washed so my kiddos can just go grab a healthy snack and eat it. Thanks for stopping by! I’ve been looking for a vegetable wash and the spray wash for a long time and this sounds just what I was looking for. Thank you. Do you think that apple cider vinegar will work as good as white vinegar? My kid has a corn allergy and I cannot use white vinegar for things he’s going to eat. When you rinse after soaking, do you use tap water or distilled?